Riding a motorcycle can often be more dangerous than driving a car. One main reason for this is that motorcycles do not have the same safety measures that are provided in motor vehicles. Unlike cars, motorcycles do not have seat belts, airbags, and more importantly, a protective shell around the driver. Furthermore, designated lanes do not exist for motorcycles, which forces motorcycle drivers to share the road with cars, vans, trucks, and other motor vehicles. Unfortunately, motor vehicle drivers are not always conscious of the vulnerable condition of the motorcyclists with whom they share the road, which further increases the potential for an accident. According to the Virginia Department of Motor Vehicles, in 2017, there were 2,119 motorcycle crashes in Virginia, which accounted for 1.7% of all traffic accidents. Of that number, 102 motorcycle drivers and 5 passengers were tragically killed. Additionally, 1,678 motorcycle drivers and 107 passengers were injured. Accidents are not uncommon, nevertheless, there are steps you can take to avoid or minimize injury in case you are involved in a motorcycle accident. Wear proper protective gear when riding, such as full helmets with visors, motorcycle jackets, motorcycle pants or full riding suits, motorcycle gloves, and motorcycle armor vests (for spinal protection). Abide by all traffic laws – do not run red lights or stop signs. Yield to vehicles who have the right of way and practice safe lane switching at all times. Do not split lanes, share lanes with cars, or ride in between cars. These actions are both extremely dangerous and illegal in Virginia.Note: sharing lanes with another motorcycle is allowed in Virginia. Practice caution or completely avoid riding during inclement weather as roadways may be slick. Avoid tailgating – the vehicle in front of you may come to sudden a sudden stop at any given moment. Avoid driving at excessive speeds. Make sure your motorcycle is in good working condition by regularly checking the tires, brakes, and fluids. Avoid distractions (keep phones and smart watches silent and tucked away until you are at a complete stop somewhere safe). Avoid being in the blind spots of other drivers, especially large utility vehicles and trucks. Avoid being near reckless drivers as they are not being considerate about the safety of the other vehicles on the road. Be mindful of turning on your headlights and tail lights even before it gets completely dark on the roads. Wear reflective, protective gear when riding at night. Watch out for road cracks, dips, bumps, potholes, debris, and any other road hazards. If you are involved in a motorcycle accident, call 911 right away. Due to the increased chance of injury to motorcycle drivers (and their passengers), 911 dispatch will immediately send a team of paramedics to your location. They will assess your condition and the condition of anyone else who may have been injured. Even if you do not feel pain or see sign of injury right away, it is important to seek medical attention as soon as possible. Pain and other health issues can arise in the days following your accident. 911 will also dispatch local police authorities to the scene of the accident. The police will interview all of the parties involved and record important details of your accident. Do not leave the scene until you have been provided with a copy of your accident report, or at the very least, steps to obtaining a copy. The police will record the contact information of all parties involved and you should also do the same. Additionally, it is a good idea to get the contact information of any witnesses present. Lastly, inform your insurance company of your accident and reach out to a motorcycle accident attorney who has experience working with motorcycle accident cases. Accidents can happen at any given moment; however, when negligence causes the accident, negligent parties need to be held liable. If you were injured in a motorcycle accident as a result of another person’s negligence, it is important for you to contact a motorcycle accident attorney immediately. A motorcycle accident attorney will carefully review the details of your accident and get you the compensation that you deserve. 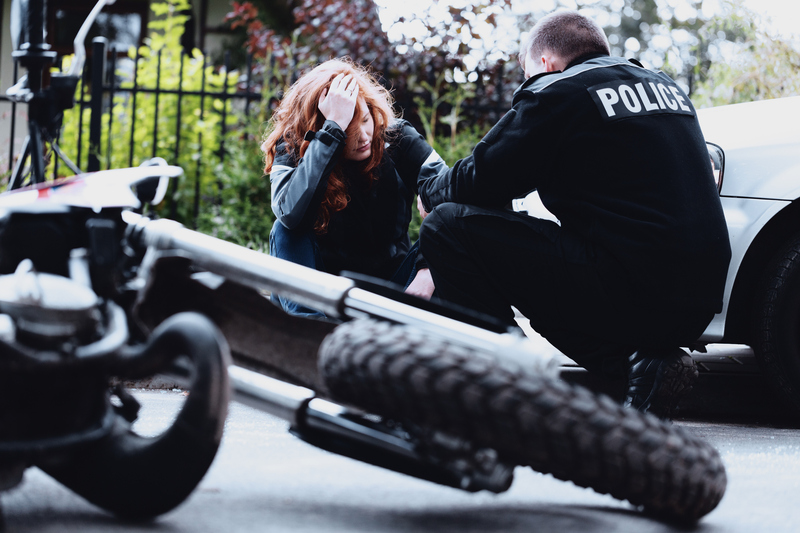 If an accident resulted in the tragic death of a loved one, a motorcycle accident attorney will pursue a wrongful death suit against those who are to blame. We understand that no amount of compensation will alleviate the pain and suffering that comes with losing a loved one. Nevertheless, it can certainly help ease the stress from medical costs, funeral costs, lost wages, and the planning of your family’s financial future.